Írta: JMC47 - 2018. augusztus 4. Dolphin on Android has had a bit of a checkered history since its inception. Users loved the idea of being able to take their favorite GameCube and Wii games on the go, but expectations and reality have never quite aligned. When Dolphin was first uploaded to the Play Store, developers tried to make it absolutely clear games wouldn't be playable, even going as far as calling it "Dolphin Emulator Alpha". Unfortunately, despite many warnings, many people got their hopes up the moment they saw Dolphin was on the appstore and were ready to play their favorite games, even if their device wasn't. While not everyone had false pretenses as to what should be possible, a lot of users blamed Dolphin for being poorly optimized rather than understanding that it wasn't even meant to run full speed yet. The endless stream of poor ratings and angry comments eventually reached a breaking point and Dolphin was removed from the Play store mid 2016. That didn't mean development on Dolphin on Android had ceased, though. Instead, builds were provided on our download page, safely tucked away from the majority of users who may not understand the current state of the app. Suddenly, earlier this month, the Official Dolphin Android app returned to the Google Play Store* complete with all the latest and greatest improvements featured in the Progress Reports! After a 2 years break, Dolphin for Android is back on the Play Store! From now on, our beta versions will be updated there every month (synced with our monthly Progress Reports). A cikkhez tartozó fórumbejegyzésben hozzászólhatsz a cikkhez. Írta: delroth - 2013. szeptember 26. In light of the recent announcements by NVIDIA and AMD in support of Linux for their graphics drivers, we would like to share with the world some of the experience we had developing our open source project, Dolphin, a GameCube and Wii emulator for Windows, Linux, Mac and recently Android. 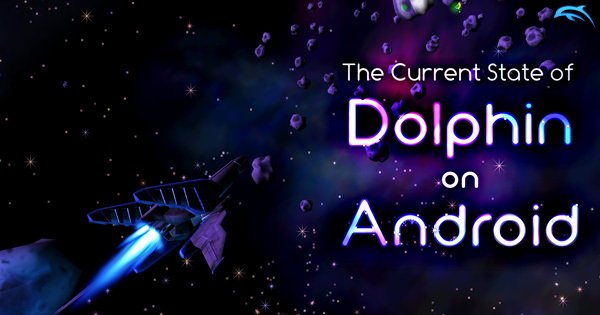 At the beginning of this year, after the successful release of Dolphin 3.5, Markus Wick (degasus) and Ryan Houdek (Sonicadvance1) started working on a rewrite of Dolphin's OpenGL backend in order to be compliant to the OpenGL ES 3.0 standard. While this rewrite was needed for other reasons (it provides the foundations for very cool optimizations), compatibility with mobile devices and the future Android port of the emulator (now in beta) was one of the key goals. This rewrite was merged into the main Dolphin codebase a few months back and started to be used by tens of thousands of Dolphin users, either on OS X and Linux where it is the only viable graphics backend, or on Windows where it is available alongside our D3D11 graphics backend. Sadly, using recent, advanced OpenGL features also meant we got to discover how bad some graphics drivers actually are at doing their job. It turns out very few applications use some parts of the OpenGL standard we need to rely on to accurately emulate a GameCube GPU. More than that, on Android, OpenGL ES 3.0 support is extremely recent and only a couple applications on the Play Store use ES 3.0 features. Here is basically our hall of shame of graphics drivers, sorted by the number of issues we found, how hard it is to report issues to the company and how many bugs were actually fixed.